Last week I attended a fascinating panel discussion on the shift of global economic power to the East. Profesor Danny Quah of the LSE held the fort for the China bulls. Facing arguments that China has over-invested and will experience a decline in GDP growth as it tries to rebalance its economy, Danny replied that over-investment is not as serious an issue as many think. Yes, 48%of GDP is very high, but the ratio of machinery to workers is only one fifth of that in the US, and GDP per capita is still very low. For Danny, there’s still plenty of slack in the Chinese economy. 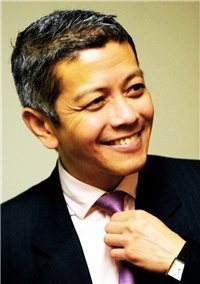 To book Danny Quah for a speaking engagement, email Leo at leovbq@chartwellpartners.co.uk, or call 0044 (0) 20 7792 8000.